You can delete any Amazon.com list you created or the default wish list and shopping list Amazon creates when you open an account. Go to your Amazon Lists page here. Click on a list you created then select edit this list. A new window will pop-up. 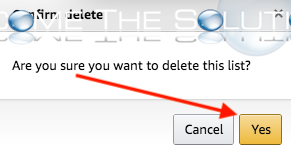 Select Delete list at the bottom. You will receive a prompt Are you sure you want to delete this list? Select yes. 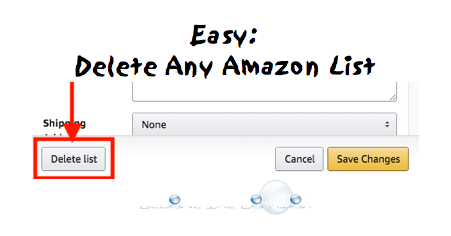 You can delete any lists in your Amazon account this way. So no edit here either! So now what do we do? I, also, do not see an option to "Edit this list." I don't see an option to "edit this list"
I do not see an option to delete a list using Amazon on iPad.